Finding Joy in the Journey. . .: Not sure what to call this week. . . .
Finding Joy in the Journey. . .
Hello, I'm glad you're here, and hope you enjoy your visit. It has been said that "A journey of a thousand miles begins with a single step." This blog is about me, my adventures, silly moments, and keeping in touch with you. Life is exciting and so full of possibilities, so let's enjoy the journey together. If you would like the featured recipe forwarded to you, click on the little email me ← here. Comments are always welcome, if simply commenting on a post, feel free to use the comment box. Not sure what to call this week. . . .
Is it possible to have a busy week and do nothing at the same time? 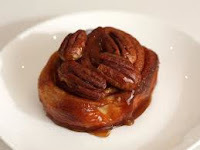 I had a birthday - Flori gave me a ride to work and gave me this amazing sticky pecan bun treat for my birthday, it was a good day! 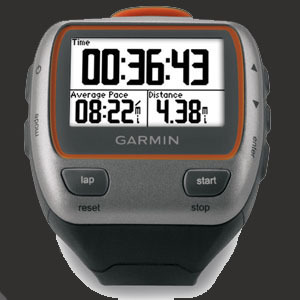 entered a contest for a Garmin 310xt sport watch, VERY Exciting! of course mine wasn't the lucky number, but I knew that the chances were slim going in . . . and it was still exciting watching. . . . waiting. . . hoping. . . not much else going on this week. . . I mean honestly it is a contest, and there were over 2200 entries! Right now it's out of my price range, but wish lists and contests are free! missed the bus on Tuesday - this was not a good day, I was less than 1/2 block from the bus stop and the bus driver just drove away! started a "facebook" account - - - I'm just not sure what to do with it now that I have it, I like the blog better. managed to get the flu - - - yuk! It started on Saturday, and I wish I could have stayed home but I was the closing supervisor and didn't have a choice but to be at work. I stayed in pajamas with alternating bouts of chills and fever topped with achy muscles/joints ala-mode with a glorious sore throat, coupled with nice rounds of intermittent coughing all day. I went to work on Monday, (yup, I was closing again), but they MADE me go home. That was a good thing in the end, as I slept most of that day too. Although Tuesday was better by definition than the previous two days, I went through almost an entire roll of TP, and my nose hurts. I have no "Puffs-Plus" (my favorite cold tissue)! I don't have the energy to walk to the store and get some, so sandpaper tissue will work fine, but my nose sure is tender! I wonder if Rudolf felt like this? I have survived on "Airborne" and soup. .
. . . even ice-cream or oatmeal had no appeal! was released from Relief Society and became a primary teacher - these flowers are a thank you from my Relief Society President as a farewell from that calling. To answer my own question, I've decided that it is very possible to have a busy week and accomplish nothing. There have been moments this week that I've struggled with "finding the joy" but then realized that for January, it's been unseasonably warm and was grateful for that. I can't imagine walking to and fro in single digit to sub-zero temperatures, which is more common for where I live. I also realized that I have burned off close to 3600 calories this past three weeks (again thanks to my GPS monitor) just doing what I had to do, no extra workouts or effort required, AND I now have a completely new appreciation for people who don't have a choice but to use public transportation to get around. Then I also realized how much money I have saved from not frequenting the gas station or grocery store! (Next time I'm getting a bike for around town stuff, it's much faster and more convenient!) However, it's amazing what you can get by with without going to the store on a regular basis. For all of these things I am grateful, and once again realized that there is joy in the journey.
. . . and the cupboards are bare! LOTOJA 2011 Lottery Results. . . . .